When I moved to California in order to be nearer to my children and also to be handy to the San Andreas Fault in order to pray for it, I looked for a house….When I pray for the San Andreas Fault, that is settle its differences, or make its adjustments to the earth that is even now being gradually pushed up from the ocean, I see with the eyes of faith God’s healing and constructive power, God’s life-force of light, shining into the mountains beneath which the fault lurks, and causing these areas of new land to develop so gently, so gradually, that there shall be no destructive earthquakes. Many people, encouraged by the newspapers, seem to gloat in the prospect of a destructive earthquake, and to delight in foretelling it. However, God is more powerful than all newspapers and gloomy prophets who foresee calamity. 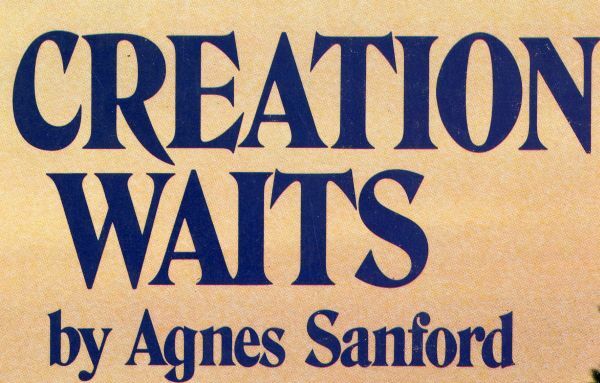 The paper of Agnes Sanford (SC-174) are archived in the College Archives & Special Collections. Springtime dandelions sprouting across suburban Chicago yards or vast corporate lawns stand little chance for survival. Usually herbicides have been diligently sprayed to eradicate this annoyance long before the first yellow dandelion heads burst sunward on the green grass. This was certainly not the case one hundred years ago at Wheaton College. In fact, the little flower (technically a weed) was celebrated. An article from the March, 1911 Record describes a unique tradition. …A custom peculiar to Wheaton College is that of planting dandelions. Every spring when the dandelions begin to show, the students watch eagerly for the small yellow flowers, and then still more anxiously for them to go to seed. This is the time for the popular dandelion contest. The students go out by classes and gather the spherical white blossoms, and, bringing them to campus, flow the seeds over the grass so that in future years the dormitory and Wayside Inn be blessed with dandelion greens from our own campus. A banner is awarded to the most successful class. Trotter’s exhortation forcibly struck the weary Lemmel. She writes, “Suddenly, as if commanded to stop and listen, I stood still, and, singing in my soul and spirit was the chorus, with not one conscious moment of putting word to word to make rhyme, or note to note to make melody…These verses were written…the same week, after the usual manner of composition, but none the less dictated by the Holy Spirit.” The hymn, initially called “The Heavenly Vision,” appeared in Glad Songs. It was sung at the 1922 Keswick Convention in England and eventually became known by its refrain, “Turn Your Eyes Upon Jesus.” This familiar hymn is now sung in churches throughout the world. Helen Lemmel died in Seattle, Washington, in 1961. The Keswick Collection (SC-30), comprising books and pamphlets, the Lilias Trotter Collection (SC-225), comprising illustrated journals, and the Hymnal Collection (SC-15) are housed in the Wheaton College Special Collections. Need a recipe for spinach balls? Pear salad? Ham souffle? Rhubarb crumble? 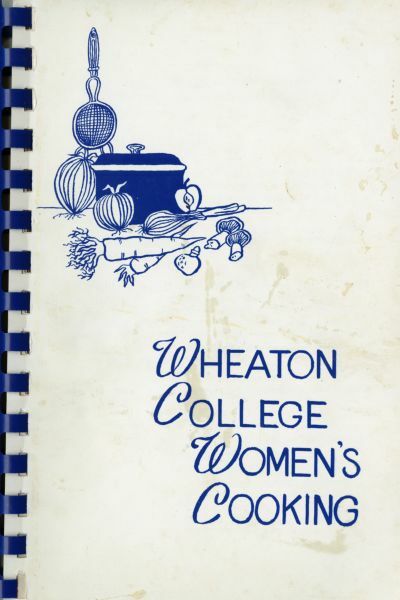 Just thumb through Wheaton College Women’s Cooking, compiled sometime in the late 1970s by the Women’s Club. The Wheaton College Women’s Club is open to the wives of any administrators, faculty or staff. Officially organized in 1929 under Mrs. J. Oliver Buswell, wife of the third president of Wheaton College, the club was known as the Faculty Wives of Wheaton College. Today the organization seeks to serve the college community through various programs, continuing the heritage of deep concern for friendship, sharing and service shown by Mary Blanchard, wife of founder Jonathan Blanchard. Papers relating to the Wheaton College Women’s Club (RG 9.14) are housed in the Wheaton College Archives. The Templeton Prize is annually awarded to a living man or woman who, in the estimation of the judges, “has made an exceptional contribution to affirming life’s spiritual dimension, whether through insight, discovery, or practical works.” Recipients include Desmond Tutu, the Dalai Lama, Brother Roger, Dr. Billy Graham and Mother Teresa. 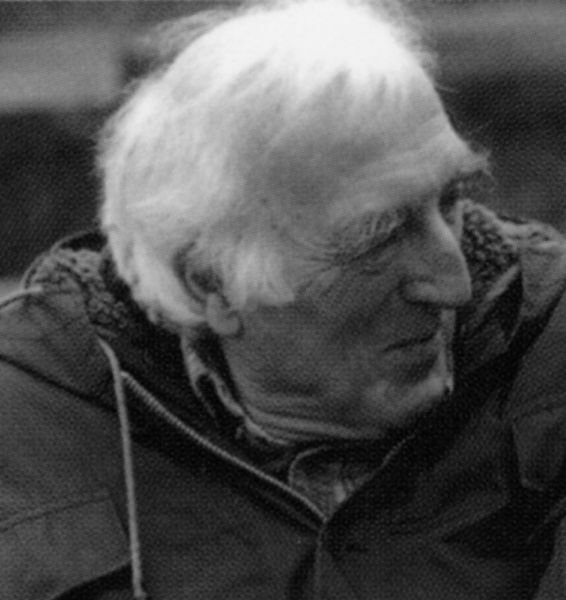 The 2015 recipient of the Templeton Prize is Jean Vanier, awarded “for his innovative discovery of the central role of vulnerable people in the creation of a more just, inclusive and humane society.” Vanier is the founder of L’Arche, a community where people with intellectual disabilities and those who accompany them share a daily life rich in mutual relationships, offering an innovative way of living. L’Arche is a Federation of 147 communities in 35 countries and on 5 continents. Jean is the son of Georges Vanier (1888-1967), the celebrated Governor General of Canada. 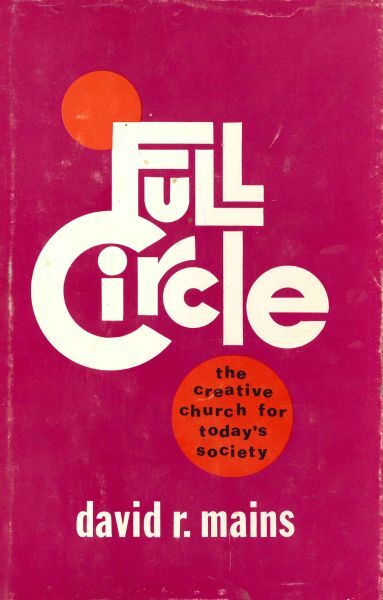 Malcolm Muggeridge, Roman Catholic British commentator, deeply interested in faith based initiatives, communicated in 1974 with Vanier and his mother, Pauline, about filming the L’Arche story for Canadian television. The papers of Malcolm Muggeridge (SC-04) and The Chicago Sunday Evening Club (SC-47) are maintained in the Wheaton College (IL) Special Collections. Last summer I had the chance of a lifetime—a six-week trip to exotic places, all expenses paid. The catch: take 30 students with me. Because these were Wheaton students, the job was easy and delightful, but personally challenging nonetheless. I expected physical and intellectual hurdles as we traveled through Israel, Istanbul, Greece, and Rome, but was unprepared for the richness of spiritual enlightenment as I journeyed through places of religious turmoil, encountering Jews and Muslims, as well as Orthodox, Protestant, and Catholic Christians. Often exhausted, sweaty, hot, and dusty after our lengthy hikes, I gained a clearer picture of Jesus’ tired frame slumping by Jacob’s well as he appealed to the Samaritan woman for a drink. Exploring Philippi, I caught whispering echoes of the Apostle Paul proclaiming the gospel to Lydia at the river, the water still flowing over the same rocks that witnessed the gospel’s entrance into Europe. From the magnificent heights of the Parthenon, I looked over the ancient Athenian agora (market) and marveled at the rich extravagance ascribed to the ancient gods and goddesses. (Little wonder many scoffed at Paul’s claims about a simple Jew being the Savior of the world.) In Rome, the still impressive Forum and Coliseum are now a crumbling reminder of the empire’s former strength and cruelty. The physical stresses and intellectual challenges prepared me for the most trying contest-delving deeply into questions surrounding Christian unity and charity. For the first time, I engaged with Orthodox Christians and their worship. The holy sites in Bethlehem and Jerusalem are perfumed with the incense of centuries of devotion—a piety totally unfamiliar to my Evangelical Free Church upbringing. In Istanbul, our group was granted rare privileges: an audience both with the Ecumenical Patriarch, Bartholomew I, and with the Armenian Patriarch, Mesrob II. The latter was a jovial conversationalist who entertained our direct questions for an hour. Having studied in the United States, he contrasted the American situation with that of his flock, for whom simply confessing oneself a Christian in public was bold indeed. He added that serving both Muslims and Christians in their church-operated hospital spoke volumes to the wider public. His All Holiness Bartholomew I granted a formal audience where he stressed his unity-building work with Muslims in Turkey as well as his concerted efforts to protect the environment. Perhaps nothing so poignantly symbolizes the tensions and aspirations for peace between faiths as the Hagia Sophia, built as the grandest church in Christendom, and later converted to a mosque. Currently Christian frescos and Islamic medallions compete for a visitor’s attention. Scaffolding rising from the center, 20-stories high, epitomizes the rebuilding hopes of Christians seeking peace with their Muslim neighbors. 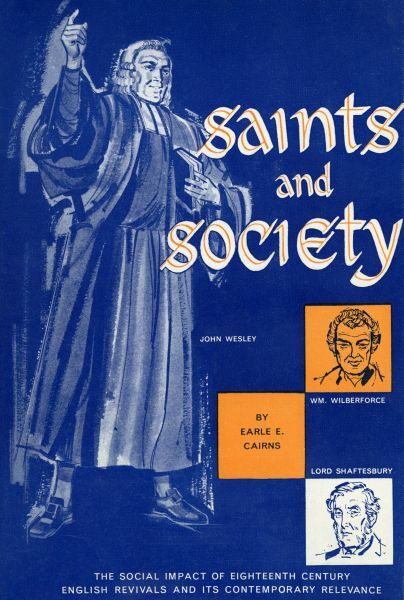 Dr. Earle Cairns, professor of history and chairman of the department of history at Wheaton College, was commissioned in 1960 to write a book, Saints and Society, about the social impact of evangelical compassion. Cairns profiles reformers such as John Wesley, William Wilberforce and Lord Shaftsbury, chronicling their contributions to the sweeping revivals that shook England and beyond. The book served a dual purpose, also celebrating the 100th anniversary of Wheaton College, founded in 1860. Published by Moody Press in Chicago, the book’s dust jacket sports the college logo (below). Records, documents, photos and memorabilia pertaining to the Wheaton College Centennial are maintained in the Wheaton College Archives (RG 10.4). Jacques Ellul (1912-1994), sociologist, author and professor, frequently addresses the intersection of technology, morality and faith. His influential books include The Technological Society and The Ethics of Freedom. As social media advances and pervades entertainment, business and politics, Ellul’s predictions become ever more relevant. 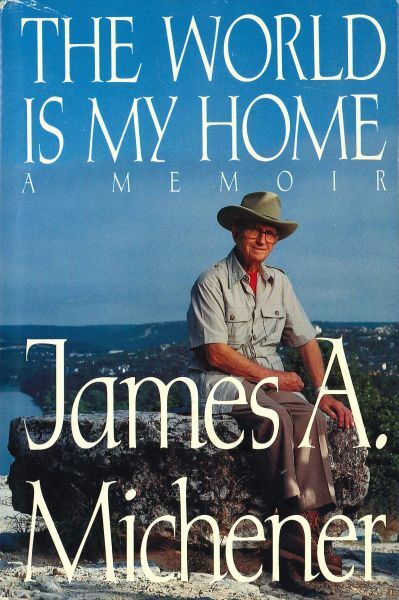 Several new books examine his prescient theories and research. 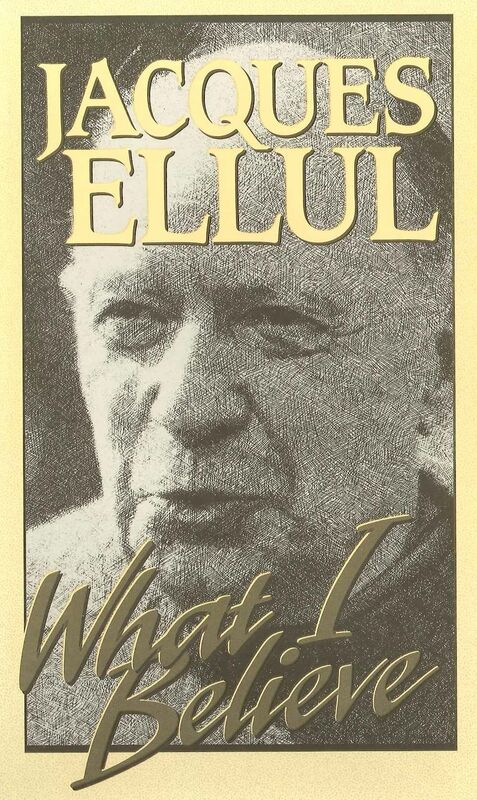 The papers of Jacques Ellul (SC-16) are archived at Wheaton College (IL) Special Collections.